Helix cigars are handcrafted individually by expert cigar rollers at the Centro American Cigars S.A. factory in Danli, Honduras. These natural-wrapped premium cigars were first introduced in 2002 and are part of the General Cigar Company empire. Each of these premium smoking gems offer two styles of tobacco leaf wrappers. The Natural US Connecticut Shade (blue box/band) or the Maduro Connecticut Broadleaf (purple box/band). The Connecticut Shade uses Mexican binders and filler blends of Brazilian, Honduran and Dominican Cuban-seed tobaccos. The Maduro Connecticut Broadleaf is made up of Honduran binders with filler blends of Dominican, Brazilian, Mexican, and Honduran Cuban-seed tobaccos. 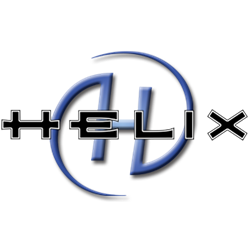 Helix are hand-rolled premium cigars that offer a smooth and consistent smoking experience for cigar connoisseurs who want to kick back, relax and unwind. If you looking for a great smoke at a great price try one of the varieties of sizes and flavors listed below. Each of these styles are available today for a discount price at our online cigar store, Smokers Discounts!